← The ides of March. 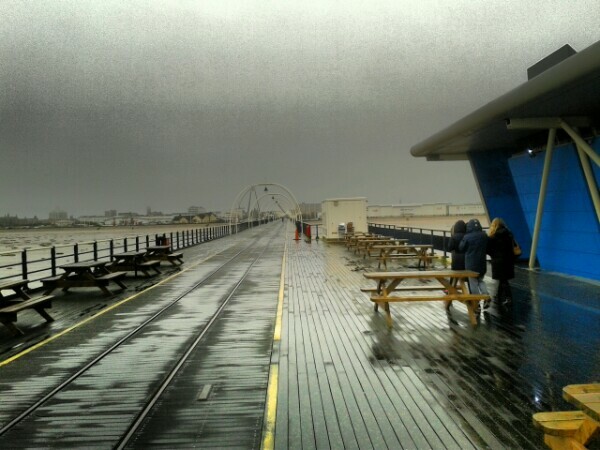 Day Out at a seaside town, Southport. The place was swept by right rain and some semblance of its tourist roots are obvious. Tacky shops are open with loud childish music played and vast amounts of sugar based food are on sale. This entry was posted in Travel, Weather and tagged pier. Bookmark the permalink.